Does the end of your newsletter get "clipped"? View here as a webpage! 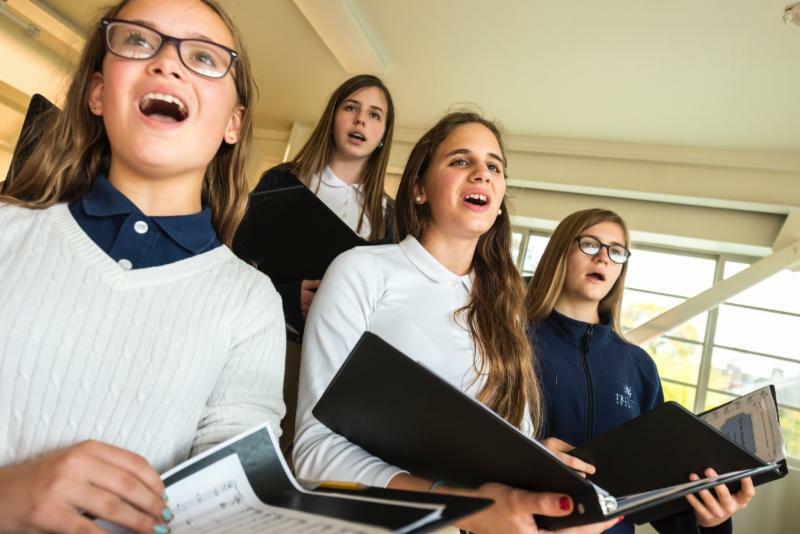 Details inside: Public Lecture: Friendship and Learning | Admissions Still Open | Middle School Choral Festival | Upcoming Plays: Antigone and The Jungle Book | Spring Fine Arts Night and more! What Does Learning Have to Do with Friendship? What does learning have to do with friendship? 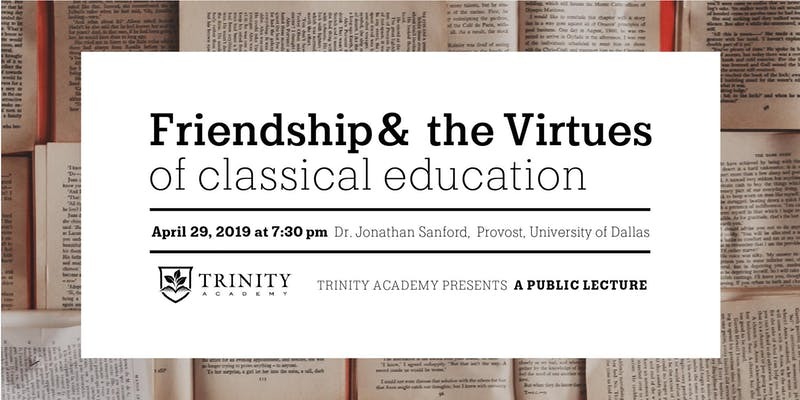 Find out at a public lecture entitled Friendship and the Virtues of Classical Education by Dr. Jonathan Sanford, Provost of the University of Dallas, which Trinity Academy will host on April 29 at Hinson Baptist Church. This event is a great way for Trinity Academy to engage people in the Portland community by making a contribution to the wider conversation about Christianity and the life of the mind that is so central to what we do at Trinity. We strongly encourage our students and families to attend this event. Please invite anyone you know who would be interested in hearing more about friendship and education. Dr. Jonathan Sanford is a moral philosopher who graduated from the first Trinity School in South Bend, Indiana. He completed his undergraduate degree at Xavier University and his PhD at the University of Buffalo before joining the philosophy faculty at Franciscan University of Steubenville. In 2015 Dr. Sanford moved to the University of Dallas to serve as Dean of the Constantin College of Liberal Arts, and in January 2018, he was named the university's top academic officer. Dr. Sanford's books include Before Virtue: Assessing Contemporary Virtue Ethics and Spider-man and Philosophy: The Web of Inquiry. We are very grateful to Hinson Baptist Church for hosting the event and to the Murdock Trust for providing support. The lecture will be held at 7:30 pm on Monday, April 29 at Hinson Baptist. A light reception will follow Dr. Sanford's talk. The RSVP link is here. 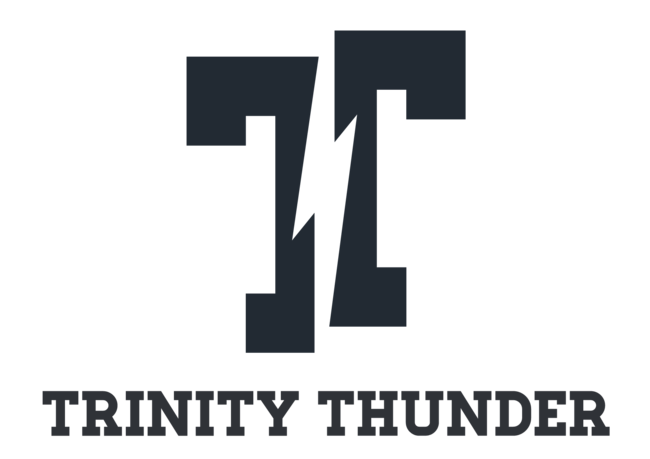 Attention all Trinity families: Do you know a family with a rising 6th, 7th or 9th grader who would benefit from a Trinity education? We are still accepting applications for students for the 2019-20 school year. Please reach out to your friends and neighbors and have them call/email the office to speak with Lisa Ficker or Beth Kabele. We are offering individual tours and shadow days for interested families. We would love to fill the remaining seats in the classroom with your kids' friends! 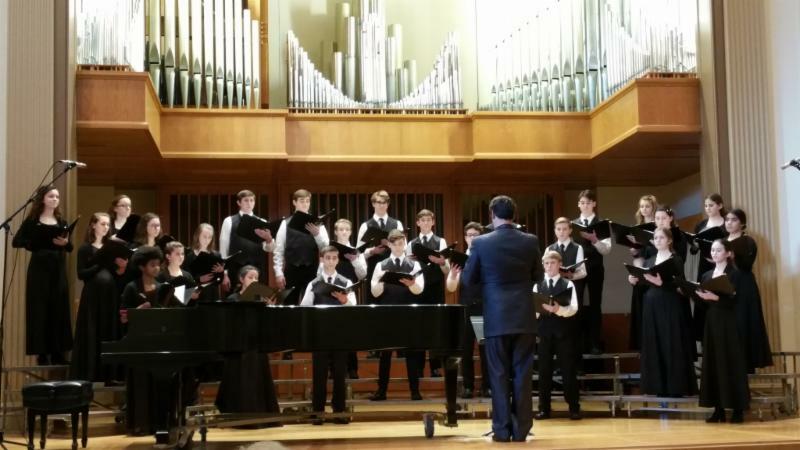 The 7th & 8th grade voice choir under the direction of Stephen Thompson participated in the ACDA Middle School Choir Invitational at Pacific University on Thursday, April 4. They have been working all semester on four festival-level songs. They sang in front of a panel of adjudicators and then received coaching in a workshop format from the adjudicators. We look forward to hearing the results at the upcoming Fine Arts concert! 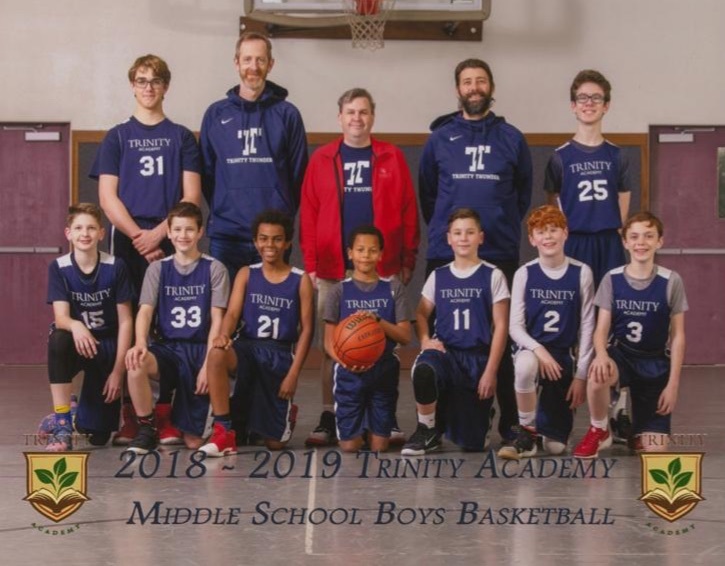 Please join the faculty and staff of Trinity Academy in celebrating the accomplishments and contributions of the Class of 2019! The Commencement ceremony is a momentous event in the life of the school community, and all families and students are encouraged to attend! A reception will follow immediately after. The Trini-Tones will be singing a Spring concert at the Grotto on Sunday, April 28th at 4 pm. The Padula string trio will be performing along with the choir. Come enjoy some beautiful music with us in this gorgeous setting. Cost: Free, and accepting donations of canned food for the St. Vincent de Paul food pantry. 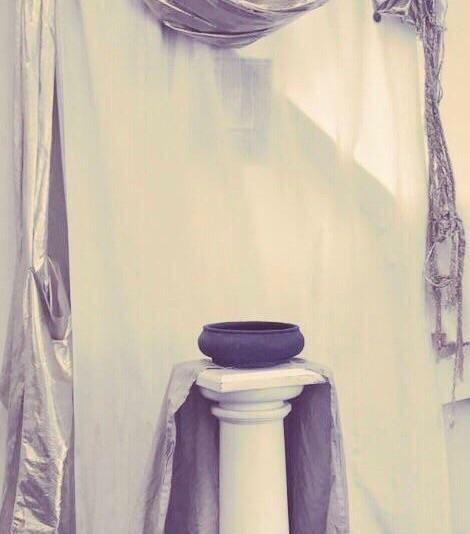 Mark your calendars for Friday, May 3rd and Saturday, May 4th at 7:30 pm when the Junior & Senior players bring us the the riveting ancient Greek tragedy, Antigone. The play will be performed at the University Park Baptist Church. Spoiler alert: People die! It is a Greek tragedy after all. 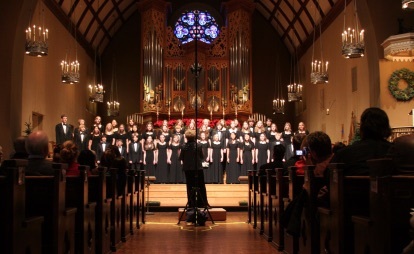 The Trinity choirs and strings ensembles will be performing at the annual Spring Arts Night on Saturday, May 18 at 7pm at Peace Lutheran Church. Student art work will be on display as well. Invite family and friends to this festive event! 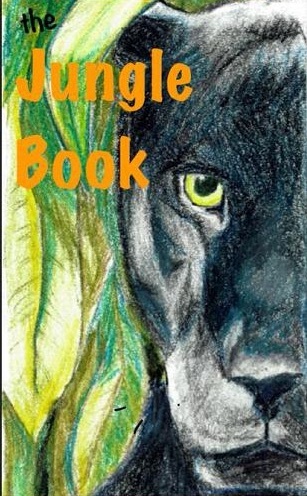 The sixth grade class is busy with rehearsals for their production of Rudyard Kipling's The Jungle Book. The performance of this play will be on Friday, May 24 at 7pm at University Park Baptist Church. Plan to kick off your Memorial Day Weekend with this entertaining evening brought to you by your favorite 6th graders! 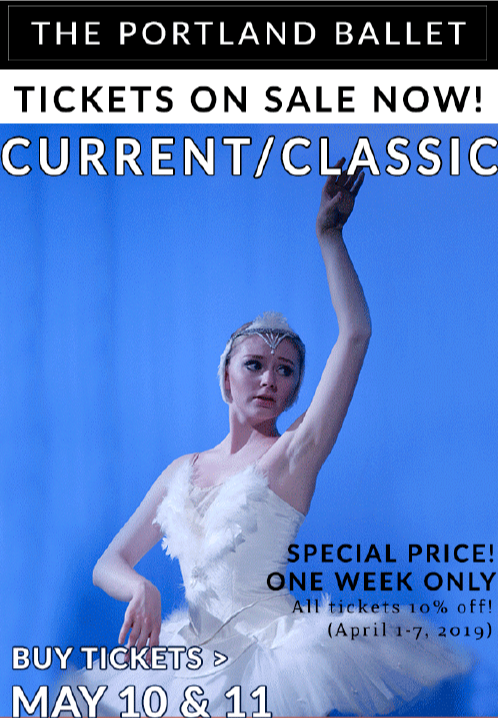 A mixed-repertoire program of contemporary and classical pieces showcasing the academy’s advanced dancers, including Balanchine’s Serenade, Tom Gold’s Festival Russe, and Rip/Tide by the Founders of BodyVox. Tickets available here, starting at $10. 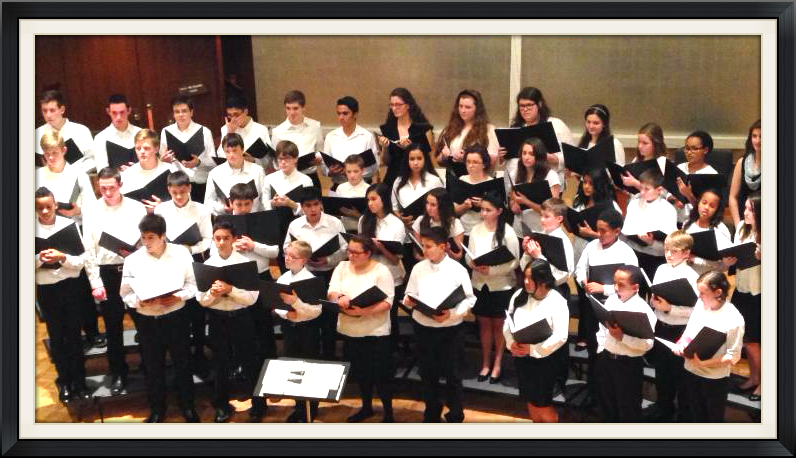 Pacific Youth Choir (PYC) sings with Chanticleer! Tickets available here and the show is expected to sell out. Ticket prices start at $12. Andrew Stiles, High School Girls Basketball coach, is hosting some Open Gyms at the Holy Redeemer gym during April and May. 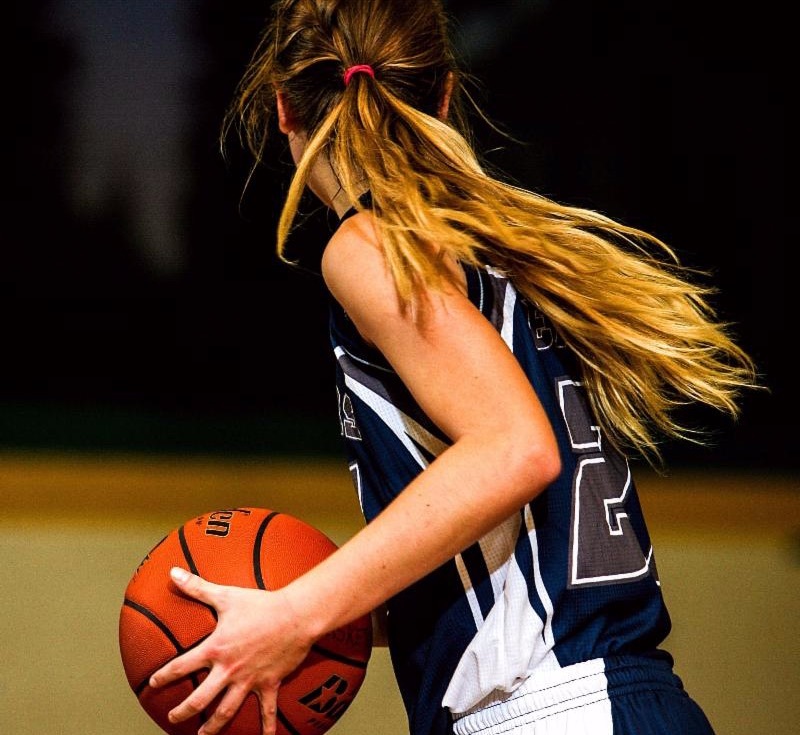 The open gyms are a chance for ANY GIRLS - grades 6-12 - to come play some basketball during the off season. It will be fun - no experience necessary. This is a great way to 'try out' basketball - coming to open gym is not a commitment to playing basketball in the future! The dates are: April 8, 11 and 25 May 6, 9 and 20 from 4:00 - 5:30 pm. Tim Cowley, high school cross country coach, will be leading a running club in April and May for students in 8th grade and above. If any students are interested in getting some extra exercise and running, this would be a great way to do it! It is a fun and super supportive environment. 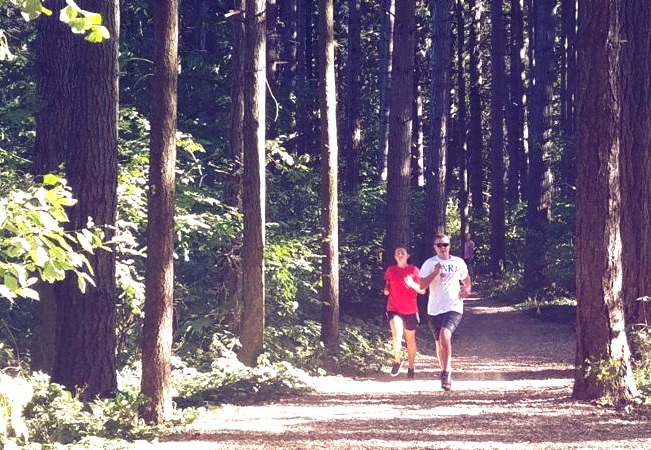 It is also a great way to get a feel for what cross country will be like in the fall. Running club will go from 3:20 pm to approximately 5:00 pm on Mondays. The dates it will take place are April 15th, 29th and May 6th, 13th, and 20th. 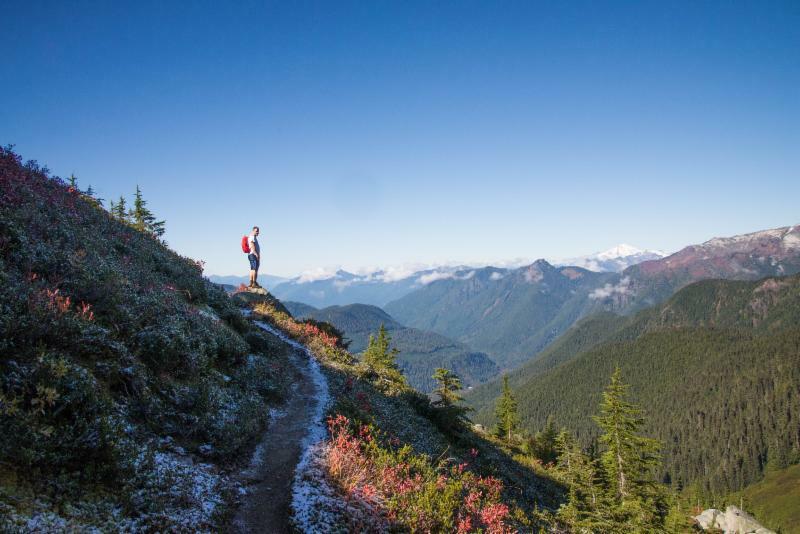 Sophomore Dominic Padula is heading up this student-led club to organize hikes around the region. Any high school student interested is welcome! See Dominic for more details. On February 20th the Trinity Academy Portland Trini-tones competed in the Linfield Small Choir Invitational Choir Competition at Linfield College. The festival was hosted by Westside Christian Academy, and 1A, 2A, 3A, and 4A choirs competed for high scores in their respective categories. The Trinitones performed five difficult pieces and worked with a clinician. Three judges came in with an overall score above an 81, earning a gold award. Congratulations! The performance in its entirety can be viewed here. Enjoy! Congratulations to Trinity's Speech Team! 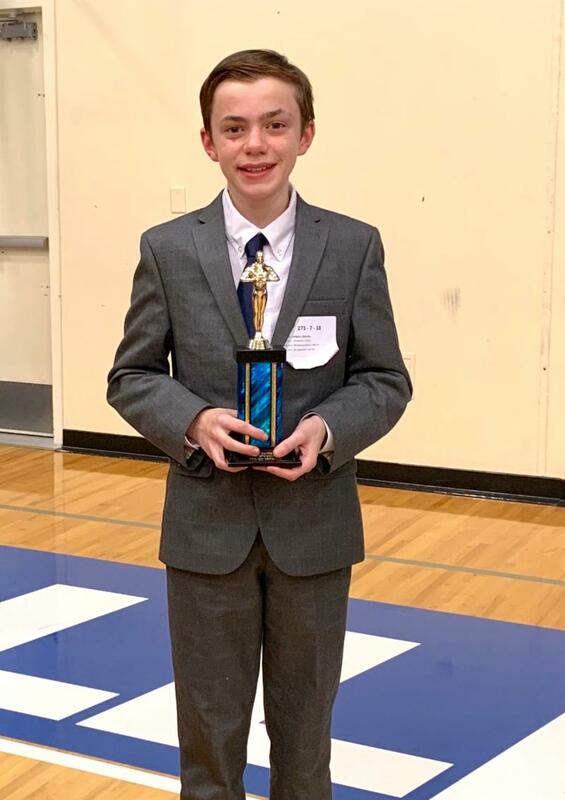 Nine Trinity Academy students competed at the Annual Valley Catholic Speech Tournament on March 2. The team members were Josiah Mask, Aiden Schmitt, Ani Brady, Josilyn Allen, Evelyn Frechette, William Eddleman, Nico Di Piazza, Mira Kennelly, and Isabella Mask, coached by Dr. Clark and Miss Justen. Dr. Clark reports, "They did an excellent job and worked very hard. Many of them got quite good at 'impromptu speeches'. In particular, Josilyn was amazing - she got a PERFECT score on her elocution speech. And William Eddleman won Honorable Mention in the 7th grade Serious category." Congratulations to each of you for representing Trinity with honor! The 6th graders, accompanied by Mr.Tomassi and Mrs. VanPelt and little brother Bennet, headed to the Oregon Zoo for a field trip on March 20. They were there to observe the animals and discuss their evolutionary relationships. 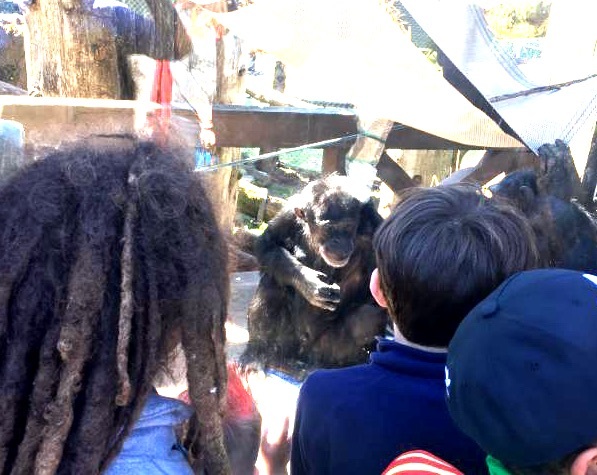 Highlights included noticing the strikingly human-like features of the chimpanzees, wondering how giraffes got such long necks and how naked mole rats lost their vision, and eating elephant ears! 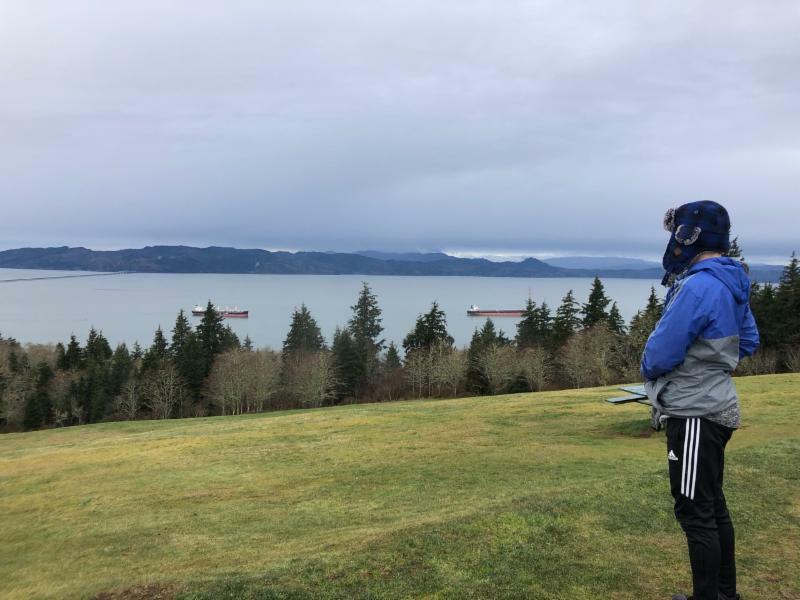 On Friday, February 15th, Mr. Mertz, Mr. Kurdelak, and the ninth grade boys visited Fort Clatsop, the site where Lewis and Clark spent the 1805-06 winter. As part of our tour, a park staff member taught us about period weapons and fired a 1795 Springfield musket! In addition to visiting the fort, we drove over the four-mile long bridge between Oregon and Washington, had lunch at Fort George Brewery, and threw wooden airplanes off the top of the Astoria column. The University of Portland offers a great Summer Learning Program that keeps students academically stimulated during the summer, working particularly on Math and Language Arts. We have had some Trinity Academy students attend this program in the past, and they really enjoyed it and learned a lot! The classes are taught by graduate students in the School of Education. NEED MORE INFO? : Contact University of Portland School of Education email soed@up.edu or 503-943-7135. Registration for students entering grades 4 through 11 is now open! Space fills up quickly, so if interested, sign up soon! You may register online here . 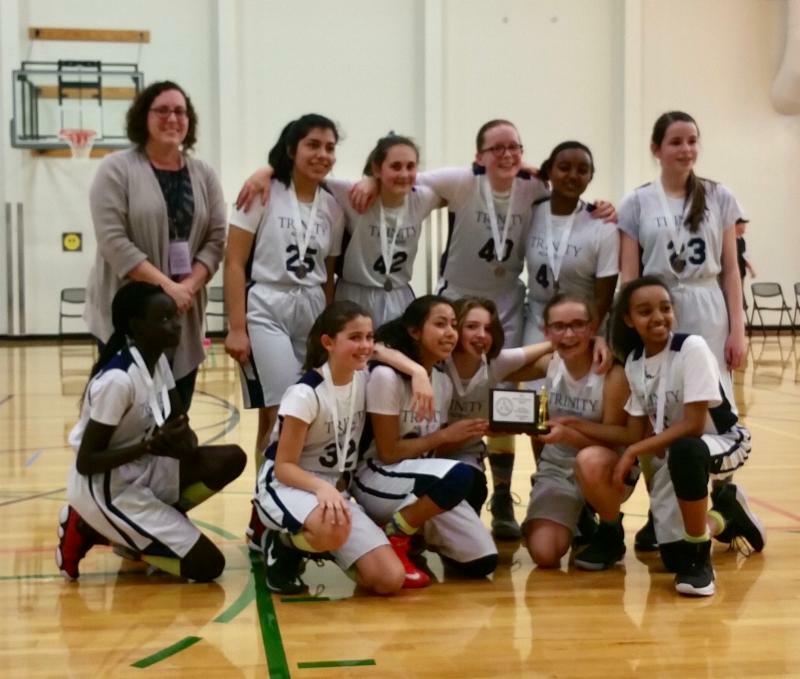 The Junior high basketball teams finished strong with their tournament games in March. The girls won a 3rd place trophy in the CYO stars tournament. Coach Christian of the 7th & 8th grade boys team reports, "This was a year of learning and growth. The boys laid the foundation of skills that they will carry throughout their basketball experiences. Often playing at a significant size and age disadvantage, the boys always played hard. Even if the results weren’t always as they hoped, they competed with intensity and good sportsmanship throughout the season." The boys finished in 4th place in the citywide tournament. Thanks to all the families and students who participated in last month's Mi Burrito fund raiser. Good food was had by all! Mi Burrito donated $175 toward Trinity athletics. Many thanks to Mi Burrito! They have generously agreed to host another fund raiser for our community on W ednesday, May 22. Mark your calendars now...enjoy a fun dinner out with friends and family and support Trinity Thunder! The Cassidy siblings all row for the Vancouver Lake Rowing Club. Kevin, 12th grade, finished first in his double at the Burton Beach Regatta (on Vashon Island) March 24, 2019. This Fall Kevin signed to row at Oregon State University. Mara, 10th grade, was invited to compete in Sarasota, FL at the 2018 Youth Rowing Challenge representing the Northwest. Her quad finished first in the nation. Liam, 7th grade, competing against high schoolers, achieved a 3rd place finish at the Burton Beach regatta in the boys novice scull race. Congratulations, Team Cassidy! 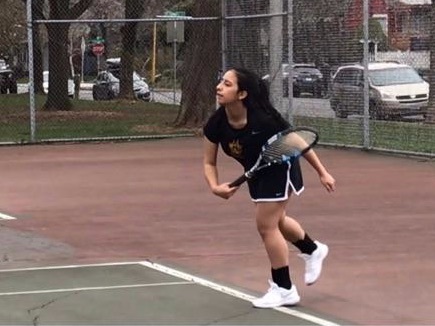 Emamaria Diaz De Leon plays tennis with the Roosevelt high school team. Emamaria has played tennis for 11 years with the local St John's Racquet Center. She is power and grace on the court. Ask her when she is playing her next match! Julian Hernandez, 8th grade, racing for the NW Blue Crush Aquatic Club, took 5th place in the 100yd butterfly in State and 8th in the 200 yd butterfly in State. 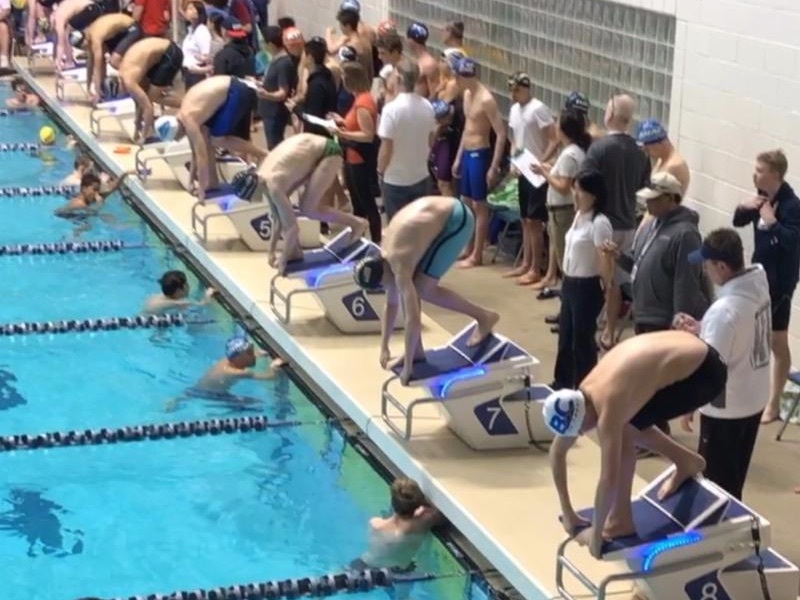 On March 24, he advanced to regionals (teams from Oregon, Washington, Idaho, Alaska, Montana, Wyoming and Hawaii) and won 15th overall for the 100 yard fly, shaving a full second off his personal best time (58.72). We are proud of you, Julian! Please link your Freddie's card to support Trinity Academy! More details about this program can be found in this brochure . Click on button below to register. 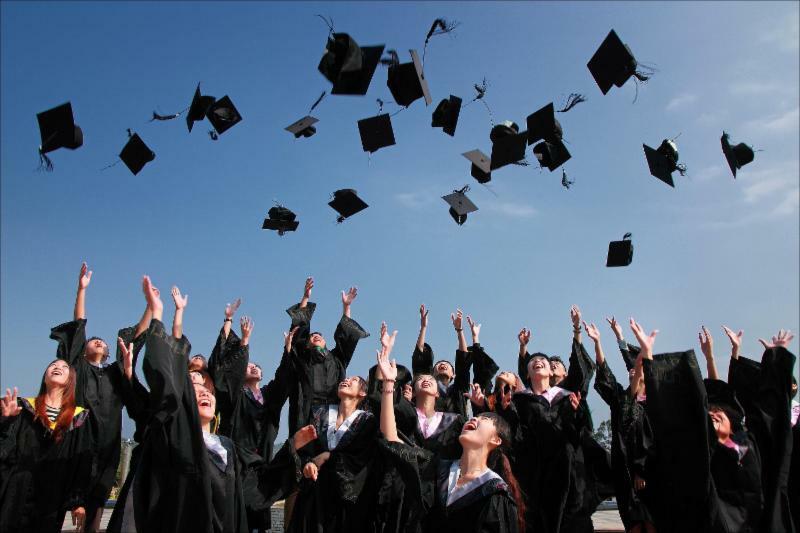 June 8 – Commencement - 2 pm - Hinson Baptist Church - Reception immediately following. Please come celebrate the accomplishments of the Class of 2019!